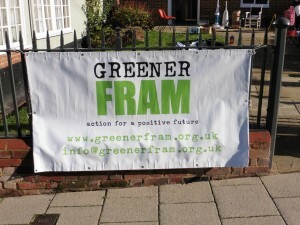 Greener Fram will need a new secretary as from our AGM on Saturday 17th October. Our present secretary takes minutes of any core meetings, organises our incoming and outgoing emails (we have over 200 email contacts, email sent out in batches), arranges advertising for events and generally works with the chair to keep communications open. Thanks must go to our going secretary for keeping things on track and proof reading/editing numerous missives from the chair.